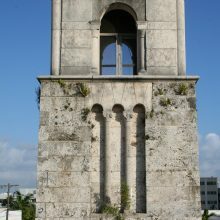 Coral Gables, “The City Beautiful” was planned and developed during Miami’s land boom in the 1920’s. The first development to advertise and sell nationally, it became an icon of the good life that Florida promised. The city was built on old orchards along strict design guidelines that retain its unique character. 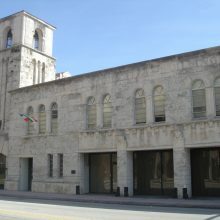 The Coral Gables Fire and Police Station was built to a design by Phineas Paist, one of the original architects of the town, in 1936. 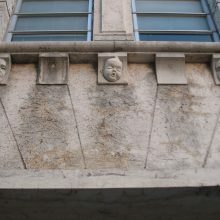 The unique solid ashlar coral stone structure includes portrait heads and penguins on its façade and is a National Historic Landmark. 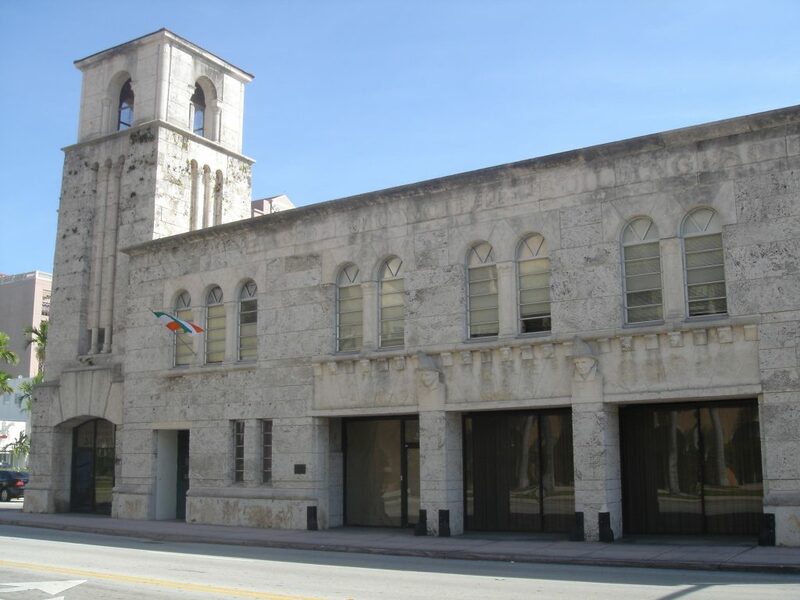 It is being restored and updated to serve its new purpose as the Coral Gables Museum. The conversion represented a challenge to the project designers. 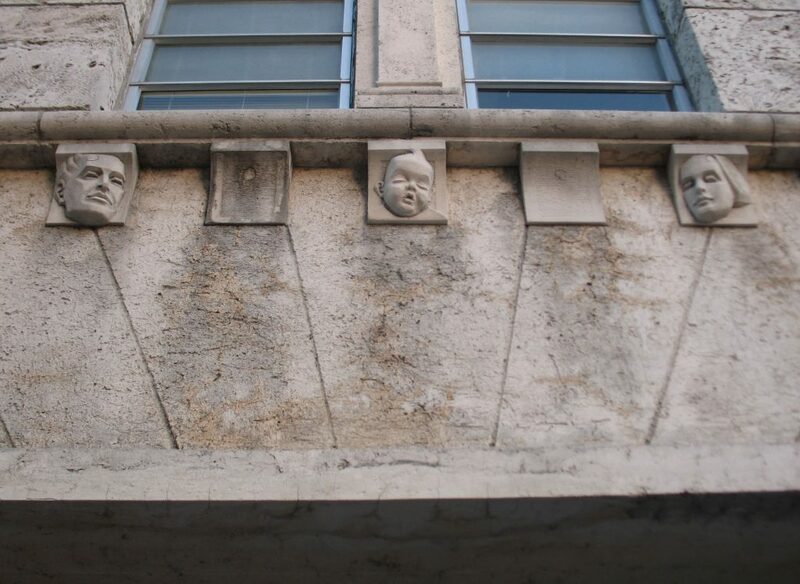 The coral stone and Cuban tiles (decorative concrete scagliola castings) used on the walls and floors of the building have suffered from deterioration since first being installed more than 70 years ago. The porous nature of the stone made the museum’s goal of providing climate controlled exhibition grade spaces particularly challenging. 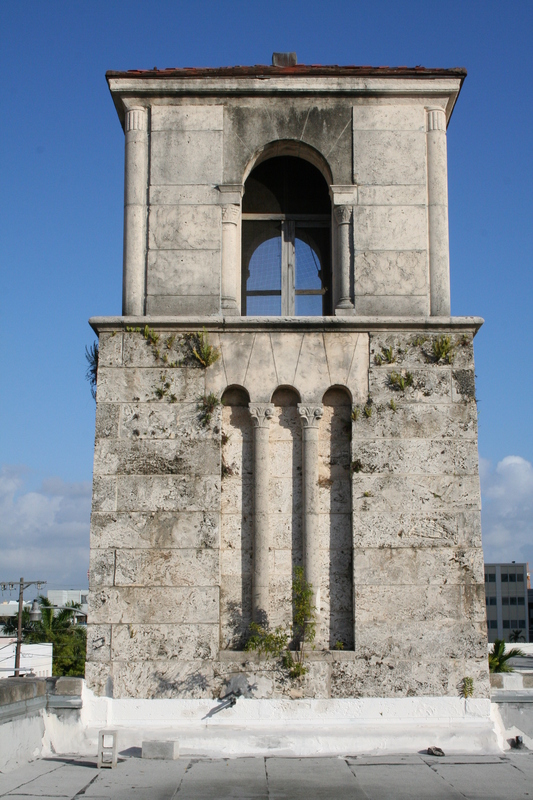 Our conservators were contracted to assist in the development of plans to restore the building’s masonry structure. 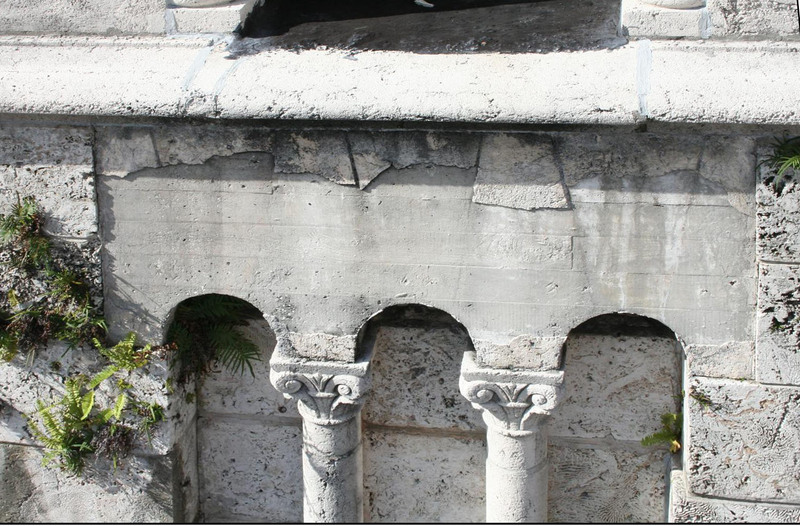 All exterior coral stone blocks were surveyed and assessed. Causes of the observed conditions were analyzed and recommendations for treating the conditions were made. A series of treatment mock-ups followed. 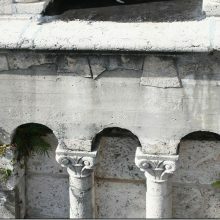 These demonstrated various possible solutions, including: lime-based fills to limit water infiltration through the coral stone ashlar; removal of non-historic coatings; scagliola repair to the unique Cuban Tile wainscoting; and selective finishes probes to reveal historic graffiti in the jail cells.